Miracle of Endymion is about the conflict centered around two things: 1) the Endymion, which is a space elevator built in Academy City (it’s retconned into earlier episodes of the series) and 2) an aspiring singer named Arisa who causes miracles to happen around her. An immortal girl named Ladylee built the Endymion with her company, and Ladylee plans to use Arisa and the Endymion to create a giant spell array which can hopefully end her immortal curse and allow her to die. Deeming both Arisa and the Endymion potential threats, Stiyl, Kaori, and new characters from Necessarius are in Academy City to investigate, and of course Touma, Index, and many other familiar characters are caught in the conflict. Compared to your average Index or Railgun episode, Miracle of Endymion certainly looks prettier thanks to the bigger animation budget. There is also plenty of action which the Index series does pretty well, and it was cool to see some magic vs. mecha combat. The best thing about the movie is that the story is mostly understandable, and there aren’t any really long and winding expositions. Touma gets an obligatory hero speech at the final battle, but it wasn’t too long or unbearable. It’d be weird if Touma didn’t give a hero speech. And the last highlight to mention is that Touma punched out another girl in this movie. I certainly don’t think the movie is encouraging violence against women, but it’s fun to see that Touma will lay the fisticuffs on anyone, boy or girl, when necessary. As I mentioned, the story of Miracle of Endymion is fairly easy to understand and not that complicated, and that’s pretty good for an Index series story. I also liked the revelation at the end that Arisa was created by Shutara’s desire for a miracle. However, I didn’t like how the final battle went down, and Touma ended up punching out Shutara instead of the actual villain Ladylee. Shutara did go a little crazy at the end trying to kill Arisa. I would have preferred the final showdown progress in a different manner. 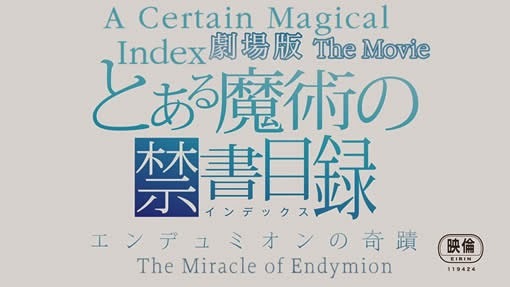 Also, Miracle of Endymion also tried a little hard to squeeze every single notable Index character into the movie. I’m okay with people making fun cameos, but splitting the final battle up so that Mikoto, the Misaka clones, Accelerator, Stiyl, Kaori can all get a little bit of credit seems a bit of a stretch. This goes especially for Accelerator who didn’t really have much of a role in the story. Overall, Miracle of Endymion is a decent anime movie, especially for fans of the Index/Railgun universe. The ending conflict could have been handled a little better, but at least the movie has a higher animation budget and is mostly free from expositions and hero speeches, and this makes it better than the majority of Index anime episodes.